Do you think of yourself as a disciple to the Dark Knight? Do you wish for yourself to be his personal sidekick? Well unfortunately that is not possible as far as we know, but an exclusive PlayStation Home Batcave will enable you to treat yourself like the real Batman. 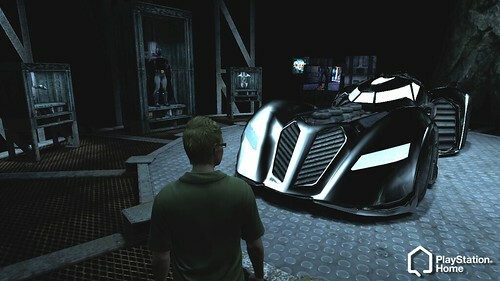 Including a replica Batmobile, the PlayStation Home space gives the real feeling of a Batman hide-out. The space will be unlocked when you buy the game. Batman: Arkham Asylum will be available to consumers on August 26 for the Xbox 360, PlayStation 3, and PC. The Villains are on display from the upcoming video game from Eidos Interactive, Batman: Arkham Asylum. Enjoy below.